We continuously seek to invest in initiatives that promote sustainability, excellence and value for people. Prizes and acknowledgments are consequences of this dedication. Get to know our publicly recognized practices through national and international awards and recognitions. Click on the year and know our actions and the recognitions that we conquer with them. In March IRANI received a trophy of recognition for the partnership with The Junior Achievement Association of Santa Catarina. The partnership with the Junior Achievement Association was singed five years ago and it is a stimulus to corporate volunteering and disseminates issues related to sustainability, entrepreneurship and ethics. The partnership with IRANI covers São Paulo, Santa Catarina and Rio Grande do Sul and relies heavily on the support of employees in the factories located in these states. In 2012, more than 800 young people were benefited from the initiative. Junior Achievement is a worldwide nonprofit organization, operating in more than 100 countries, funded by sponsoring companies. Its goal is to awaken the entrepreneurial spirit in schoolchildren. 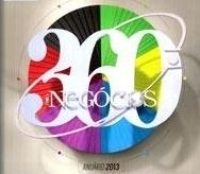 Celulose Irani gained a prominent position in the 2013 yearbook Época Business 360º. Among the 250 best companies in Brazil, IRANI appears in 45th place. When the survey deals with the best practices, without regard to financial performance, the Company is placed in the 27th place among the 50 best evaluated and 5th in the Southern Region. The survey also analyzed companies by category and ranked IRANI as the 4th best company in the Pulp and Paper sector, the 2nd best evaluated in this sector in the Corporate Governance, Innovation and Vision for the Future criteria, the 3rd in H R Practices, the 4th in Financial Performance and 5th in social-environmental responsibilities. To elect the country's top companies in 26 sectors, the yearbook analyzes the most relevant practices from the following areas: Financial, HR Policy, Corporate Governance, Capacity to Innovate, Social-environmental Responsibilities and Vision/Planning for the Future. The survey published in the magazine is coordinated by the Fundação Dom Cabral in partnership with the consultant Heiko Spitzeck. This year, the team contacted 1,933 companies, which caused the magazine's ranking to be expanded to 250 companies. The award, which recognizes the company of the year and the best in each sector, took place on September 12 in Sao Paulo. To compete for the prize, IRANI was present among the 250 best companies in Brazil and the results that were obtained confirm that the strategy of combining the principles and values to management practices are important for achieving the vision of being the best and for being among the top three companies in the country. In April 2013 IRANI won, for the third consecutive year, the Embanews Packaging Award in the Design, Sustainability and Highlighted Packaging categories. The products that received the award in the Design category were the box My Fellow Ice and the corrugated cardboard packaging for household appliances, in the Sustainability category the Cooler Box and Highlighted Packaging category was the Corrugated Cardboard Pallet. 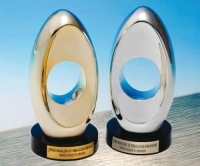 Divided into the Design, Marketing, Technology, Sustainability and Research Machines and Systems categories, the awards was made in São Paulo, on April 19, 2013, when 57 pieces were recognized . The winning packaging was the one with the best averages between participants. The pieces will be exhibited at the Feiplastic trade fair to be held during 20-23 May at the Anhembi Exhibition Pavilion, in São Paulo. The Trophy is awarded the best companies in the year, chosen by the vote of the Embanews Award jury which honors companies and professionals that make a difference to the development of the packaging sector. 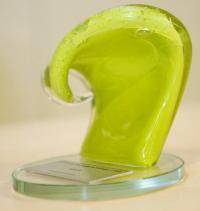 For the second consecutive year, Cellulose Irani is recognized by the ÉPOCA Green Company Award. In 2012, Irani is among the reference companies in environmental management and climate change. 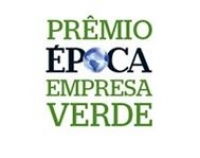 The result of a partnership between ÉPOCA magazine and PricewaterhouseCoopers (PwC), the ÉPOCA Green Company Award highlights in this year´s edition, 20 companies with the best environmental practices in Brazil, including IRANI. The winners of the award were evaluated in a universe of 120 companies and their practices were analyzed in areas such as: energy efficiency, responsible use of water, garbage disposal, transport, incorporation of environmental criteria in the development of products and services and the reduction of greenhouse gases. In this context, IRANI is a worthy winner for developing actions to minimize the effects of global warming, such as the Greenhouse Gas Inventory (GHG) and Clean Development Mechanism (CDM) projects of the Co-generation Plant and the Effluent Treatment Station (WWTP). In addition to these actions, IRANI recycles about 90% of the waste from factories, internally, the rest is sent to landfills. The Company also is considered as being carbon neutral by sequestering more GHG than it emits. Get to know some of our actions to minimize the effects of global warming. In celebration of 70 years of history, Celulose Irani, one of the most important companies in the paper and packaging sector in the country, created the show "IRANI 70 years - A Look at Life" to tell the story of its construction. The play which celebrated 70 years of Celulose Irani, this week, won the ADVB/SC Corporate Citizen Award, of the Association of Sales and Marketing Leaders of Brazil in Santa Catarina, in the Cultural Development category. The text was written by the journalist and writer João Paulo Dantas and depicts the trajectory of the people who contributed to the creation and expansion of Celulose Irani. The name "A Look at Life" refers to the title of the novel, published by Editora Globo in the forties, with the first paper produced by Irani in Campina da Alegria (SC), where paper mills are installed for packaging and corrugated cardboard made by Celulose Irani SA. Created to celebrate the 70th anniversary of the Company, the play has IRANI employees as actors The socio-cultural and educational project was carried out with the support of professionals from Tagus - Cia de Teatro de Joaçaba (SC). The play, presented in 2011, had Celulose Irani employees and community residents of Campina da Alegria, municipality of Vargem Bonita (SC), as the actors who participated in theater workshops for six months beforehand. The theater group "Flor do Mato" was formed to stage the show, and it still exists today and is busy creating a new play. For the third consecutive year, IRANI has won the Champions of Innovation award from the Amanhã Magazine. This competition has been held for nine years and has the technical support from the Fundação Dom Cabral; the ranking identifies the 50 most innovative companies in the three Southern states. Celulose Irani appears in 1st place in the Pulp and Paper sector. The award ceremony was held on January 29, 2013, in Porto Alegre (RS) with a special event which saw the presentation of case studies and panel discussions on the theme of innovation. In 2012 Celulose Irani won the Brazilian Environmental Action Award in the category "Best Work with Air" with the project "Greenhouse Gas Emissions Inventory and Innovative Actions". The Greenhouse Gas Emissions Inventory (GHG) has been carried out since 2006 and in addition to direct actions to reduce environmental impacts, it seeks to identify opportunities for new Clean Development Mechanism (CDM) projects, increasing the transparency in IRANI´s environmental sustainability, strengthening investor confidence; helping to identify risks and facilitating the Company´s environmental management plan. This is an initiative of the Jornal do Brasil and Casa Brasil, the Brazilian Brazilian Environmental Action Prize is awarded to the leading personalities and companies that contributed to the preservation of the environment. Celulose Irani was recognized as the case in the first specific study on how companies define and incorporate the topics relevant to sustainability into their activities. The highlight was given to IRANI because the Company showed one of the best materiality processes, involving its stakeholders, prioritizing issues and sustainability commitments and guiding its strategic planning in accordance with this information. The study was presented by Report Sustentabilidade (Report Sustainability - a consultancy with experience and expertise in sustainability issues) last Tuesday (6th) at the Aberje headquarters in São Paulo. The Materiality in Brazil study- how companies identify relevant topics, to broaden the general understanding of the critical issues of sustainability in Brazil and inspire businesses to invest in improving their management focusing on this topic. The study analyzed 195 companies from 25 different sectors and with operations in Brazil, listed in the GRI (Global Reporting Initiative) database and the Sustainability Reports´ customer data. IRANI received in September 2012, the Certificate of Excellence in Sustainable Management in the Southern Region with the modern global guidelines in ISO 26000 Standard. Among the 114 participating companies, the Company won the 2nd position with the Environment theme. The certificate is the result of the Sustainable Management Research in the Southern Region, conducted by Editora Expressão. The assessment aims to build a map of corporate social responsibility and identify those companies that have a degree of management excellence. This achievement reflects the evolution of IRANI to implement practices that contribute to the conservation of natural resources. Irani won the Roberto Hiraishi Embanews Brazilian Packaging Award for the second year running. In 2012 the Company was awarded prizes in two categories, the anti-tamper box and in Sustainability, the sustainable pallet. The IRANI anti-tamper box brings a distinctive and innovative system that eliminates the use of any closure device due to its locking mechanism. Besides being used for storage and transport, the box offers an item of functional security that ensures product integrity and certifies that there has been no violation to it during logistics. This product adapts too many different kinds of use. The IRANI Sustainable Pallet solves a logistical and environmental problem in a loop by reducing waste in the process. Among the advantages are the production of pallets and the customers and in the production of the packaging that replaces the current wooden pallets with a low weight and high compressive strength - up to 6000 Kgf - unit. The project's goal is to replace 50% of the factory´s demand and reduce by 70% the annual costs of the company with pallets. In its 21st edition, the Embanews- Roberto Hiraishi Brazilian Packaging Award seeks to recognize and promote the best in the packaging industry and its advances in the fields of - technology, design, marketing, machinery and systems, research and sustainability. Celulose Irani has won for the first time, the 2011 Roberto Hiraishi trophy in the Sustainability category, subcategory "Design and Production of Returnable Packaging" during the 20th Brazilian Packaging Award, Embanews. In partnership with the Colméia Center Supermarket, located in Joaçaba, Santa Catarina, the Research & Development area of the Celulose Irani Packaging Unit developed a returnable corrugated cardboard package, in an unprecedented initiative that aims to replace the use of plastic bags. The storage volume of each box equals five traditional plastic bags. This is one of the most important awards in the national packaging industry, and the Embanews award strengthens the position of companies with the market, by recognizing the creativity and development of innovative solutions. By winning the award allows companies the opportunity to compete in the WorldStar Packaging Awards, organized by the World Packaging Organisation, which highlights the most innovative packages in the world, selected through national awards in each country. Celulose Irani was one of the five companies honored with the Social Responsibility Award – The Highlight of Santa Catarina, and one of the forty companies and organizations honored in November with the Certificate of Social Responsibility. The event is promoted by the State of Santa Catarina Legislature, and aims to enhance the work that is developed by the participants in social and environmental areas. The certification was organized due to an idea of the President of the Legislative Branch, Congressman Gelson Merisier in order to grant each year, the distinction to businesses and nonprofit entities that offer an outstanding performance in the social sector. Being constantly concerned with the sustainability initiatives, Celulose Irani has been a state highlight in the Época Green Company Award, which indicates the most advanced companies in the country's contribution to environmental preservation, and the 2011 Febramec Prize, which seeks to recognize the actions taken by companies with are focused on addressing the need for preservation and conservation of the environment, among other acknowledgements. Celulose Irani has just received the Improve the Quality Environmental Transport Award. This award is part of the Pollution Elimination Program that encourages the use of more sustainable transportation activities and occurred during the The Carreta 2011 award ceremony, in Santa Catarina. The distinction was awarded to three companies in the categories Gold, Silver and Bronze. The Company´s Vargem Bonita Unit was recognized in the Silver category. The realization of projects aimed at reducing greenhouse gas emissions (GHGs), earned Celulose IRANI the ÉPOCA Green Company award for 2011. IRANI was part of a select group of 20 companies, regarded by the awarding organization, as the leaders in Brazil of incorporating environmental initiatives in the business. Conceived by a partnership with ÉPOCA Magazine and PricewaterhouseCoopers (PwC) Consultants, the award aims to identify and valorize those companies that keep projects focused on preserving the environment. The criteria to compete for the prize include the evaluation of the initiative related to climate change, issues such as the impact on biodiversity, use of renewable raw materials, consumer awareness of water, waste disposal, energy efficiency and innovation in developing products and processes. For IRANI, this award distinguishes and qualifies it as an organization that is included in the low carbon market, i.e., companies that have remove more CO2 (carbon dioxide) than they emit. From activities aimed at environmental sustainability, IRANI won the Febramec Environment Award 2011 in the category water and wastewater with the case study "Water Use and Wastewater Generation - Celulose Irani." The FEBRAMEC Environment Award seeks to recognize the initiatives carried out by Brazilian industrial companies to improve the production process, based on sustainability and environmental awareness. For IRANI this achievement reflects the collective commitment and the pursuit of continuous improvement in the processes. In August 2011, IRANI received the Certificate of Excellence in Sustainable Management of the Southern Region The certificate is the result of the Sustainable Management Research, Southern Region, conducted by the Expressão publisher. The evaluation aims to build a map of corporate social responsibility and identify companies that have excellence in management. The evaluation criteria are based on seven indicators proposed by the Instituto Ethos (Ethos Institute) such as Values, Transparency and Governance, Consumers and Customers, Environment, Workforce, Communities, Suppliers, Government and Society. The award represents maturity in Sustainability Management. It reflects the actual results of work done by IRANI in this area. The classification indicates that the Company is on the right track. IRANI was one of four companies that won the top ranking in the research. The results are published in the Expressão Sustainability Yearbook 2011. For the second consecutive year, Irani won the 1st place prize in the Champions of Innovation in the Revista Amanhã (Tomorrow's magazine), in the pulp and paper sector in the Southern Region of the country. This achievement makes it possible for IRANI to create a comparative reference of the market and through the items that were evaluated, improve the processes of innovation management. The disclosure of the winning companies was through a publication in the Amanhã Magazine, November 2011 issue. The 7th edition of the survey had the technical endorsement of the Center for Innovation of the Dom Cabral Foundation. For the fifth consecutive year, the Brazilian Environmental Benchmarking Program recognized Celulose Irani. In 2011, the winning case study was the Recovery project of the Riacho da Anta Permanent Preservation Area. The project is carried out with the initiative of restoring the fragmentation of the native vegetation remnants of the Ribeirão da Anta, located near the Vargem Bonita-SC industrial park. The project is replacing the vegetation coverage of the riverside to form ecological corridors. The presentation of the award to IRANI took place during the Benchmarking Day at the 4th International Fair and Congress (FIBoPS) considered to be the largest exchange of pro-sustainability in the country. At the time, the company also presented the winning case to the participating public. 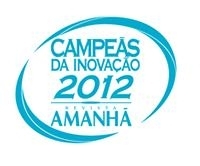 According to MAIS PROJETOS, the management and social and environmental training company that organized the event, the 2011 Benchmarking companies were those that through the excellence of their sustainability practices innovated the preservation of the natural and social environment, besides increasing the competitiveness of the organization. The benchmarking program is an independent initiative that is in its ninth edition. During this period, it has built the largest free access database of sustainability case studies in the country. These cases studies supply the technical training grids for events and guides for the publications aimed at sustainability management. With its own methodology and international recognition, the Benchmarking Program has selected more than 220 sustainability cases studies in more than the 130 ranked companies. Celulose Irani is the only company in the Pulp and Paper segment to be among the TOP 10 companies in the survey "Towards Credibility 2010," carried out by the Brazilian Foundation for Sustainable Development (FBDS), in partnership with the British consultancy company and independent research center, SustainAbility. The initiative aims to analyze the quality of sustainability reports published by Brazilian companies, encouraging them to improve their results reporting practice and expose what global companies can learn through actions like these. Among the reports from the 137 companies surveyed, Celulose Irani reached third position, behind Natura (cosmetics) and Sabesp (sanitation), the first and second places respectively. In addition, the company climbed five positions in relation to the ranking published in 2008. The 2009 Celulose Irani Sustainability Report was produced in accordance with the guidelines from the Global Reporting Initiative - GRI, an entity with expertise and worldwide recognition for their work with sustainable enterprises. The report obtained the A classification, the highest allowed by the initiative. Celulose Irani received in April, in Bento Gonçalves - RS, the Fiema award for 2010, that it won with the case "Technologies used for Reducing the Emissions of Greenhouse Gases" in the Environmental Technology category This event is promoted by the International Technology Fair for the Environment (Fiema), and the award is intended to be presented to Non Governmental Organizations (NGO´s), students, educational and governmental institutions and other institutions that are in line with environmental legislation that is in force. The objective is to recognize the best initiatives that aim to minimize the environmental impacts, ensuring the sustainability of current and future generations, and promoting environmental awareness. The award is divided into three categories: educational, environmental technology and social environmental. The second, in which IRANI was classified, awards initiatives to ensure the adoption of techniques that result in the reduction of adverse environmental impacts, such as the optimization of production processes, equipment for the control of pollution, environmentally appropriate products, processes for reducing the consumption of natural resources, among others. For the evaluation, the criteria that were used was the environmental performance (the results obtained from the implementation of the project), the degree of importance (representing the project's importance to society), innovation (evaluates the innovative features of the project); potential for dissemination (representing the capacity for the extension of the projects results to other situations and locations) and sustainability (assessing whether the project is economically viable and the amount of resources necessary for its perpetuation). The winning project from IRANI - Technologies used for the Reducing of Emissions of Greenhouse Gases - was developed by the Company as a contribution to reduce the problem of global warming. The Greenhouse Gases inventory (GHG) is used to obtain information that allows the Company to minimize and balance the greenhouse gases emission in IRANI´s operating activities. Through the inventory is possible to evaluate the balance between emissions and the removals and the possibilities of neutralization. 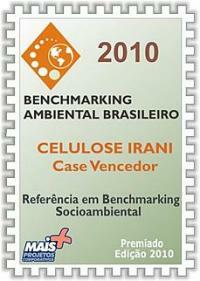 For the fourth consecutive year, the sustainability actions of Celulose Irani are acknowledged by the Environmental Benchmarking Program, an initiative that aims at spreading, strengthening and encouraging the engagement in good social and environmental practices among Brazilian companies and institutions. Celulose Irani’s Environmental Education Program was awarded in the 2010 ranking of the Best ones in Braz8ilian Social and Environmental Management. IRANI has as its goal the development of an environmental education program encompassing its associates, schools, universities, clients, suppliers and communities within the region of Vargem Bonita (SC). During the year, the company adopts actions, emphasizing celebration dates such as the Day of the Water, the Day of the Environment, the Day of the Tree and the Day of the River. Such occasions include educational activities aiming at awakening, in those involved, habits and positions that are sustainable, through a cycle of workshops, visits to the Forestry Greenhouse, distribution and planting of native seeding, ecological walks, dynamic activities and distribution of information flyers. IRANI develops five projects within its Environmental Education Program: Ecological Garden, Oil Recycling, Environmental Kids Patrol, Seed of the Branch, and Cleanse. Between 2006 and 2009, 3,706 hours from our associates were made available for environmental education, aiming at organizing and performing events, involving over 10 thousand persons in 12 cities of the west region of the Santa Catarina state. IRANI won in June, for the fifth consecutive time, the ADVB Corporate Citizen Award with the Broto do Galho project, in the Community Participation category. Sponsored by the Association of Sales and Marketing of Brazil (ADVB) this is the 12th time the event has been held and the award recognizes and honors the best work of the fifteen businesses in Santa Catarina related to social responsibility. The case in which IRANI was worthy, the Broto do Galho project has been ongoing since 2009 with the residents of Campina da Alegria (SC). The initiative is to empower the artisans involved with basics notions of management, development and manufacture of handmade products from waste from the SC Paper and Packaging industrial units, allowing for the generation of productive jobs, and aggregation of income for the participants. 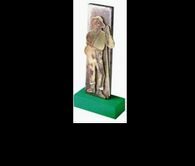 With this award, IRANI has 'accumulated' five Corporate Citizen statuettes from the ADVB/SC. In 2006, the Company won the award in the Environmental Preservation category, with the case of the Clean Development Mechanism (CDM) of the Cogeneration Plant. In 2007, it was the turn of the Wastewater Treatment Plant (project WTP) and the revitalization of the Vila Campina da Alegria. In 2008 and 2009, the Celulose Irani Cultural Center was recognized in the Environmental Preservation category for the case of the emissions and sinks of the greenhouse gases inventory in a pulp and paper mill and the Environmental Education Program, respectively. The main objective of the award is to honor the companies that make their daily work the example of social responsibility, reflecting in the product and the result offered to its customers and society. In November 2010, the Brazilian economics and business magazine AMANHÃ released the results of the seventh analysis of the Champions of Innovation in the Southern Region. In the overall ranking, IRANI appears in the top 50 companies. Irani is among the 50 Champions of Innovation because of developing activities focused on “green innovation”. The Company has a Center for Technological Innovation that works in the planning, design and development of sustainability projects. Over the past three years, the investment in this sector has amounted to approximately 0.5% of the value of the Company´s sales. Among the latest projects are corrugated cardboard boxes that are up to 15% lighter, which reduces the utilization of raw materials and the final cost to the client without losing quality. Besides this project, the Research & Development team in partnership with the Innovation Center has developed a corrugated cardboard box that is foldable and reusable, able to efficiently replace plastic bags and be as practical as the reusable cloth or canvas bags. By being among the 50 Champions of Innovation in the Southern Region shows that the management model adopted by Celulose Irani - sustainability - and the balance and synergy between the economic, social and environmental development produce lasting and admirable results. On October 19 in Rio de Janeiro – RJ, Celulose Irani received the 5th Brazilian Environmental Prize, won for the Best Work on Air 2010, with the case on the Greenhouse Gases Inventory and Related Innovative Activities. This Award is an initiative of the Jornal do Brasil and it aims to reward and publicize, annually, the most outstanding initiatives in the country that conciliate production activities with environmental protection and inform society that in the Brazilian productive sector there is already concerns to reconcile their production activities with the preservation of the environment and communities, in accordance with the principles of sustainable development. The winning case form Celulose Irani, the Greenhouse Gas Emissions (GHG) Inventory, made IRANI the first Brazilian company to certify the GHG inventory in accordance with ISO 14064, 2006 standard. In 2009, Irani removed 662,971 tons of CO2e (carbon dioxide equivalent) from the atmosphere. During the same period, greenhouse gases (GHG) emissions were 20,055 tons of CO2e, giving a final balance of 602,916 tons of CO2e. Taking into account the cumulative results of 2006, in 2009 the Company reached an accumulated surplus of 2,228,316 tons of CO2e. The practice of management and implementation of the corporate GHG inventory is already consolidated in IRANI. For over four years of the inventory, the sequestering of more than 2.2 million tons of CO2e emissions has been accounted for, discounting emissions. This figure that shows the Company´s contribution to the issue of alleviating global warming reinforces once again the position of the company as being Carbon Neutral, by sequestering more carbon than it emits. In August, the ISTO É Dinheiro magazine published a special edition with the ranking of the 500 best Brazilian companies. In the ranking, Celulose Irani is cited as being the fourth largest company in the pulp and paper sector, considering the analytical criteria of: quality and innovation, social responsibility and environment, corporate governance, financial and human resources. In these questions, IRANI obtained prominence in the management of innovation and quality, being cited as the first company in the industry, it is amongst the top four in the management of financial sustainability and human resources and amongst the top five companies in the management of social responsibility and corporate governance. The As Melhores da Dinheiro yearbook, in its seventh edition, has consolidated itself as the most complete and thorough survey on the management practices of companies established in the country. From the editorial viewpoint and in view of the market, the ranking today is a product recognized for its quality and comprehensiveness. According to the data from the yearbook on the 500 companies that are listed in the ranking for 2009, together totaled a net total of R$ 2.2 trillion, equivalent to almost 80% of Gross Domestic Product (GDP) in 2008. In Irani, the adjusted EBITDA margin went from 15.1% in 2008 to 24.6% in 2009. Despite the financial crisis experienced in 2009, the year was the consolidation of results from the investments made in the two previous years. To check out more Celulose Irani financial information, please visit Investor Relations (www.irani.com.br/ri ). IRANI was recognized in December 2009, with the Anpei Seal for Innovative Companies, awarded by the National Research and Development Association for Innovative Companies (Anpei). This tribute first started in 2008, and it is meant to identify and recognize companies, Scientific, and Technological Institutions (STI´s) that invest in Research, Development and Innovation (R, D & I) in Brazil. To grant the Seal, Anpei carries out an evaluation process where applicants are judged according to the following criteria: - Intensity of expenditure on R, D & I: average percentage of expenditure on internal and external technological development versus the company's total revenues; - Percentage of human resources in R, D & I: average percentage of staff involved with P, D & I in relation to the annual average of collaborators, qualified as PhD´s, Masters, graduates and technicians; - Impact on technological innovation and the results of the innovative forces: the percentage of last year’s revenue that was generated by products launched during the last three years. 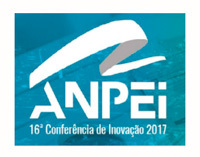 Out of the 156 Anpei associates, IRANI together with 46 other companies (ten from Santa Catarina) were awarded with the Seal. For the Company, this achievement represents a moral incentive to continue the search for competitiveness through technological innovation, knowing that this can raise the process levels and the innovative culture. Together with the 34 companies that received the Seal in 2008, a total of 81 companies and ICT´s have already obtained it. The Anpei expectation is that the seal be constituted as a recognized certification by bodies that promote innovation, so that companies that have been awarded the seal have easier access to public funding for research, development and innovation projects. IRANI´s concern with the growth of communities, with which it relates, has been publicly recognized in 2009 by the Legislative Assembly of Rio Grande do Sul with the certification of the Social Responsibility Award. At the award ceremony, held in December in Porto Alegre (RS), IRANI received a medal and a certificate of Social Responsibility. The recognition is due to social actions developed by the Company and presented in its Sustainability Report 2008. The award, an initiative of the Legislative Assembly in Rio Grande do Sul, which was implemented 10 years ago, aims to encourage projects aimed at promoting the welfare and preservation of the environment in private companies and cooperative enterprises. The whole certification and awards process was conducted by a joint committee, which evaluated the veracity and importance of social practices submitted by companies in their reports. The Prize, which was created in 2000 by Law No. 11,400, is awarded by the Rio Grande do Sul Parliament, through the Department of Institutional Relations of the Legislative Council and is coordinated by representatives of organizations and institutions of the civil society gathered in the Joint Committee, which reviews and assesses the actions of businesses and entities from its balance sheet, which investment in social actions are verified. The IRANI was awarded the Febramec prize in the Atmospheric Emissions category with its case of Environmental Management of Greenhouse Gases Emission (GHG). This award, promoted by the Brazilian Mechanical and Industrial Automation Trade Fair (Febramec) in partnership with SENAI, is intended to make the public aware of the actions taken by industrial companies to improve their production processes, and take into account the need for environmental preservation and conservation. IRANI won the award with the Clean Development Mechanism (CDM) projects of the Co-generation Plant, the modernization of the Effluent Treatment Plant (WWTP) and the Greenhouse Gas (GHG) emissions Inventory. The management of the atmospheric emissions at IRANI is carried out through the of greenhouse gases inventory which is produced each year. The inventory is the main source of information on air emissions because it aims to identify and quantify all relevant emissions and removals of greenhouse gases. The Febramec Environmental Award was created to highlight initiatives that contribute to cleaner production and sustainable development in Brazil. The judging committee is coordinated by the National Center for Clean Technologies (CNTL-SENAI/UNIDO/UNEP) and consists of 23 industrial and environmental organizations, including the Inter-American Association of Sanitary and Environmental Engineering (AIDIS) and Bureau Veritas Certification. In October, Celulose Irani won the 17th Expressão Ecology Award in the Pollution Control category - Pulp and Paper Industry, with the project - Innovative Greenhouse Gas (GHG) Emission Reduction. Editora Expressão started the Expressão magazine in 1993; this recognition is considered as being the greatest environmental prize in the Southern part of the country. The award has the support of the Ministry of Environment and already has received 1,521 entries relating to environmental projects from companies, NGOs, groups and institutions in the three states that comprise the Southern region in its 17 consecutive annual events. The 2009 event had the participation of 149 environmental initiatives, which will be highlighted in the site and in the Expressão yearbook. IRANI won the award with the case that includes the design of the Clean Development Mechanism (CDM) for the Co-generation Plant, the upgrading of the Effluent Treatment Plant and the Greenhouse Gas (GHG) Emission Inventory. Celulose Irani won in 2009, the Corporate Citizen Award ADVB / SC with the Environmental Education Program in the Environmental Preservation category. The Irani winning case - Environmental Education Program - focuses on the environmental awareness of employees, families, schools, universities, suppliers and communities near to the production units. In 2008, the company stepped up its activities and the program provided 1,019 hours on this topic, training 100% of collaborators in the Manufacturing Units in Santa Catarina-based on Environmental Policy and an Environmental Management System. On dates set by IRANI as the Day of Water, the Environmental Week, Day of the Tree and the Day of the River, several activities are carried out and lectures are aimed at all audiences, where issues are discussed that are related to environmental protection, among them, the importance of saving water, animals, plants, soil, atmosphere, natural resources, the importance of recycling, and the actions undertaken by IRANI to minimize the environmental impact are explained in a transparent manner. Global issues such as the greenhouse effect, carbon credits, carbon inventory, the Kyoto Protocol and Clean Development Mechanisms are all discussed. The Celulose Irani will receive, on August 6, the AMCHAM Brazilian Environmental Award, now in its fifth year. The winning case was the Greenhouse Gases Emission Inventory and Related Innovative Actions in the CDM category. IRANI certified its Greenhouse Gases (GHG) Inventory according to the ISO 14064 standard. This certification proves that the activities of the Company are Carbon Neutral. The first verification was related to the emissions during 2006, when the removals totaled 446,919 tons of CO2. The removals in 2008 exceeded both 2007 and 2006 by 15.8% and 27% respectively, reaching 650,913 tons of CO2. The main factors that contributed to the lowering of the emissions are, besides the 27 thousand hectares of planted forests, the 2 CDM (Clean Development Mechanisms) located at the manufacturing unit in SC. The CDM Co-generation plant, which uses biomass to generate most of the energy used in 2005, and the Effluent Treatment Station which was modernized in 2007. The Brazilian Environmental Award is an initiative of the Environmental Committee of RIO AMCHAM – the American Chamber of Commerce, to stimulate actions and recognize the merit of environmental preservation projects and responsible environmental practices of companies operating in Brazil. At the Awards Ceremony, Brazilian companies will be showing what they are developing in favor of the environment. About AMCHAM - Its main activities are to do with the action of advocay of the interests of affiliates and the promotion of new business. This is done through the action of Committees, performing events, courses, participation in fairs, networking, business missions and interaction with government authorities in Brazil and the United States. In September, Celulose Irani received the Brazilian Environmental Benchmarking Program Award for the Modernization of the Wastewater Treatment Station - Clean Development Mechanism (CDM) Project. The Brazilian Environmental Benchmarking Program is promoted by ‘Mais Projetos’ and it endeavors to recognize and share social environmental knowledge applied to Brazilian Companies and Institutions that contribute to building sustainable societies. The winning IRANI case; the Wastewater Treatment Station modernization was carried out in order to replace the anaerobic degradation by the aerobic degradation of organic matter, thereby avoiding the emission of methane, a greenhouse gas (GHG) that causes global warming. The treatment system was modernized, which involved an aerobic system called secondary treatment that uses activated sludge with extended aeration. This process avoids the mud being deposited on the bottom of ponds, generating methane gas. With this initiative, IRANI became the first Latin American company to register in the UN Clean Development Mechanism (CDM) for the treatment of industrial effluents. Approved by the CDM Executive Board in January 2008, the facility also became the first in the world to be fully aerobic. Irani won in October, an honorable mention in the Professional Rehabilitation Award for 2009 with its case - Panorama of Professional Rehabilitation in IRANI - A Case of Social Responsibility in the Private Companies category. The event promoted by the Brazilian Center for Industrial Safety and Health (CBSSI), and the recognition is to encourage the actions of successful companies and authorities in relation to professional rehabilitation, and to divulge the potential and empowerment of disabled workers. The company earned recognition with the actions of the Inclusion Program for Disabled People. The program began in 2004, is mainly intended to increase the professional and personal growth of disabled people. IRANI understands the subject, as being synonymous with wealth and the appreciation of human differences. The Company considers this as being a basic principle of citizenship, in as much as that all citizens should have the right and dignity to develop their potentials. In 2007, IRANI started the Committee for Monitoring New Workers with Disabilities. This is made up of collaborators from Human Resources management and the medical departments of all the Company´s units, the Committee carries out various actions focused on raising awareness about the inclusion of rehabilitated. The main activities carried out by the Committee include the training of leaders from IRANI´s five business units, internal campaigns with the participation of Disabled Peoples; Sporting events for Disabled People and internal support for charities and philanthropic entities, such as the Brazilian Association for Support to the Visually Impaired (Laramara). Celulose Irani shows its commitment with the inclusion of disabled people on their staff, from a socially responsible attitude, through its Inclusive Policy. The document outlines the principles that guide the fundamental nature of Irani that relates to the initiative of the development of disabled peoples capabilities, and promote diversity throughout the production chain. The Celulose Irani received the Fritz Muller trophy on August 31, this is considered to be the most important environmental prize in Santa Catarina, in the Environmental Education category. The winning case from Irani - Environmental Education Program - focuses on the environmental awareness of collaborators, families, schools, universities, suppliers and the communities close to the Company´s units. In 2008, the company stepped up its actions in the program and provided 1,019 hours for the topic, training 100% of the collaborators at the manufacturing units in Santa Catarina-based on the Environmental Policy and Environmental Management System. On the dates established by IRANI such as the Day of Water, the Environmental Week, Day of the Tree and the Day of the River, many activities and lectures targeted to all audiences are carried out, where issues related to environmental protection are discussed, among them, the importance of saving water, animals, plants, soil, the atmosphere, natural resources, the importance of recycling and there are also explanations given, in a transparent manner, about the actions than IRANI does to minimize the environmental impacts. Global issues, such as the effect of greenhouse gases, carbon credits, carbon inventory, the Kyoto Protocol and Clean Development Mechanisms, are also dealt with. This is the 16th time that the award has been sponsored by FATMA - Environment Foundation of Santa Catarina, which aims to stimulate the development process in the state by encouraging companies, research institutions, NGOs, schools, municipalities and researchers to work for the preservation of the environment of Santa Catarina. In addition, recognizing the companies who adopt the following in their production chains, effort, investment, management and the use of technologies to ensure sustainable development. The award is a tribute to the German naturalist Johann Friedrich Theodor Müller, who lived in Blumenau (SC) and contributed with Charles Darwin in developing the theory of evolution of the species. This recognition, according to Fatma was the way found to encourage the preservation and rational use of natural resources. The award giving ceremony, with the presence of the State Governor Luiz Henrique da Silveira, with occur on August 31, in the Federation of Industries of the State of Santa Catarina, in Florianopolis. On this occasion, the Publisher Expressão will launch a yearbook with the history of winners, the reasons for their success and the Fatma strategies to enable an ongoing partnership with sustainable development in Santa Catarina. Annex; Press release from last year and the Project. Every year, the ISTOÉ Dinheiro Magazine publishes a special edition with the ranking of the economy and business of the country´s 500 largest companies that stood out in the financial and social areas during the previous year. In the 2009 edition, IRANI was placed amongst the 30 largest Companies in the Pulp & Paper sector, second in Social Responsibility and fourth in Innovation and Quality. The Melhores da Dinheiro magazine highlights the 500 companies that have received the best evaluation in the 30 sectors of the economy according to the DINHEIRO magazine. This issue is full of ratings and rankings from each sector, with major firms amongst those than have revenues of more than R$ 100 million. The ranking of the largest companies, based of net income, is also listed in the special edition, which also includes balance sheets from the sector and a survey of the best of each one of them. All companies were evaluated by criteria related to, Financial Management, Human Resources Management, Innovation and Quality Management and Social Responsibility and Environmental Management. 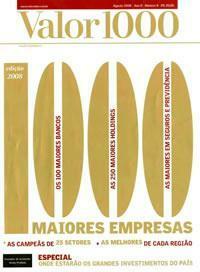 The Valor 1000 Yearbook, from the renowned newspaper Valor Economico, published in a special edition in August, the ranking of the biggest and best Brazilian companies in 2008. In the Pulp and Paper, sector IRANI was placed in the sixth position in Asset Turnover and was the largest Company in the sector in the Southern Region. In the overall ranking, the company climbed 10 places in relation to 2007 and occupied the 655th place. Valor 1000 has been published for nine years, and it provides an analysis of executives and other experts from the thousand largest companies in the country by revenue. It also provides rankings per sectors of activities and from different regions of the country. Last year, the Yearbook published inedited rankings from commercial and multiple banks, insurance companies and private health and life insurance companies. To achieve these rankings, Valor 1000 had access to the School of Business Administration of the Getúlio Vargas Foundation in Sao Paulo and the Serasa Experian. Seven criteria were assessed: sustainable growth, net income, generation of value, margin of activity and asset turnover. The National Association of Cellulose, Paper and Derivatives Sales Professionals, Anave, traditionally holds the Tribute of the Year Award. In 2008, the Company earned recognition in the categories of Personality of the Year in the Social Environmental Management. IRANI earned this award because of its Clean Development Mechanism (CDM) project for the Co-generation Plant; for obtaining the certification of the greenhouse gases emissions inventory under ISO 14.064; and for being the first Brazilian company and the second in the world in the paper and packaging sector to issue carbon credits; for having FSC certified forests and for achieving, in 2007, several social environmental awards and recognitions. According to Anave the selection of the winning companies is based on an analyses that is done by an Internal Commission within the Association, made up from people on the Executive Management and the Senior Council. After the wide spread considerations of the information and data in the press, this commission evaluates indications carried out by the entities that form a part of the sector. In the final phase, the Commission recognized the most voted companies and personalities - IRANI was amongst them. Besides being recognized for its pioneering spirit, IRANI is also personality of the year in social environmental management because of the transparency shown in the social environmental data with measurable targets, and for publishing its goals for the next period. Celulose Irani S.A. was awarded the Export Merit award in April that endeavors to certify companies that exported last year the most forestry products in the wood, panels, furniture, paper and cellulose sectors. IRANI is a worthy winner of the award in the furniture sector. The Company is included in the list of the Ministry of Development, Industry and Foreign trade - MDCI as being amongst the biggest Brazilian exporters in 2007. In the same year, the IRANI Furniture Unit exported about US$ 21 million, an increase of approximately 47% compared to the previous year. The Merit and Export award is promoted by the Revista da Madeira (Wood Magazine), and has the objective of recognizing the importance and the entrepreneurism that those companies have in leveraging Brazilian exports. The award made public, the excellent performance of the Company’s exports in the furniture market. Celulose Irani's concern with the social development of the communality’s where it has contact was recognized in December, by the Legislative Assembly of the State of Rio Grande do Sul. At the award ceremony, held in Porto Alegre (RS), IRANI received a medal and a certificate of Social Responsibility. This recognition was granted because of the social activities carried out by the Company and shown in the 2007 Sustainability Report. According to the Legislative Assembly this initiative has the intention of stimulating the presentation of the Social Balance; to spread Social Responsibility in the state of Rio Grande do Sul; to act as a recognition mechanism in the united efforts for the search for a better society; to strengthen, by using positive examples, the movement for Social Business Responsibility in Brazil; to change ideas and learning and to disseminate social technologies with other companies and organizations that place a lot of effort this topic. The whole certification process and awards were carried out by a mixed commission that evaluated the candor and the importance of these social practices shown by the companies in their reports. Law no.11.400 was created in 2000, and the Prize was awarded by the Parliament of Rio Grande do Sul, through the Department of Institutional Relationships of the Legislative Assembly, it is coordinated by representatives of entities and institutions of the civil society gathered together in a Mixed Commission that analyzes and evaluates the activities of companies and entities from their balance sheets where the investments in social activities are verified. Celulose Irani achieved the title of the Most Remembered Supplier in the Food Industry in 2008 in August, in the Carton Packaging and Paper and Cardboard category in general. The survey is promoted by the Revista Indústria da Alimentação (Food Industry magazine), and it is carried out on a nationwide basis and it tries to select the brand of products and services that are most recollected in the country. "Being the Most Remembered Supplier in the Food Industry is the best way to differentiate and to increase the perception of value that the market has of the company´s brands", highlighted Carlos Eduardo of the publisher Editora Segmento. The information was gathered in the second quarter of 2008, with the help of BDO Trevisan, fifth biggest auditing and consultancy company in the world and third in the ranking of the stock Exchanges (CVM) Open Capital Companies, an organization that has global expertise and local experience and it audits all of the main regulatory organs in Brazil. The study seeks to evaluate the levels of the standards of the products, services and equipment used by the Brazilian food industries. This is the second time that the Company has been highlighted in the survey. Last year, IRANI was also awarded the title of The Most Remembered Supplier of the Food Industries, in the Carton Packaging category and the Paper and Cardboard sector in general. Celulose Irani conquered, at the beginning of this month, the ADVB/SC 2008 Citizen Company, in the Environmental Preservation category for the greenhouse gases emissions inventory case and carbon sinks in a pulp factory and paper mill. IRANI´s winning case became a pioneer in Brazil with the certification of the Greenhouse Gas Inventory - in accordance with the ISO 14.064, 2006 international norm. The Inventory received certification in 2006 and 2007 with methodologies and quantifications that included the mapping sources of greenhouse gases emitted and removed by the Company´s units. The analyses show that IRANI is Carbon Neutral, because its removes more carbon dioxide from the atmosphere than it emits. 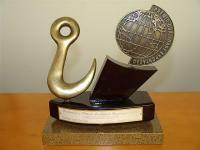 The Association of Sales and Marketing Leaders in Santa Catarina (ADVB) promote the award, and the Citizen Company Prize recognizes successful social-environmental initiatives, in the areas of Environmental Preservation, Community Participation and Cultural Development performed by companies, associations and foundations from the public and private initiatives in Santa Catarina. Last year, IRANI received the prize in the following categories: Community Participation with the Celulose Irani Cultural Center case: Areas of Environmental Preservation, with the modernization of the Effluent Treatment Station; and Cultural Development with the Vila Campina da Alegria-SC revitalization project. This recognition makes public IRANI´s concern, by confirming its commitment to sustainability throughout all of its production chain. Every year the ISTOÉ Dinheiro Magazine publishes a special edition showing the ranking of the finance and business of the 500 largest companies in the country that were highlighted during the previous year in the financial and social areas. In the 2008 edition, IRANI was amongst the first five placed companies in the paper and wood pulp sector. In the ‘Innovation and Quality and Human resources indicators’ the Company was placed in second place, and it was placed amongst the top five largest companies in the Social Responsibility sector. The results are divided into 27 economic sectors, the companies were classified according to five administrative criteria: financial sustainability, human resources, innovation, environmental social commitment and corporate governance.. In accordance with the Melhores da Dinheiro, last year, the revenues of the 500 largest Brazilian companies totaled R$ 1.46 trillion, a growth of 12% over the previous year. According to data from the Brazilian Association of Cellulose and Paper (Bracelpa) the paper and wood pulp sector, in 2007, exported US$ 4.7 billion. The companies added 8.5% to the Brazilian balance of trade, in other words, US$ 3.4 billion. The Valor Econômico newspaper, one of the most prestigious communication vehicles in the sector of the Brazilian economy , annually publishes the magazine, “Revista Valor 1000”, with information relating to the one thousand biggest companies in the country and it provides an analysis of the performance in their respective sectors of activity. Within the paper and wood pulp sector, Celulose Irani is located in second place in Sustainable Growth (variation of the net revenue over the variation of adjusted net equity) and is in eighth position in Asset Turnover (net revenue over total assets). Companies were chosen by a questionnaire that evaluated, in addition to the financial aspects of the company, the corporate governance and social-environmental conduct. According to the Yearbook, the 1000 largest companies in the country had a rare year in 2007. The profitability of these companies reached 16.8%, less that that obtained by the banks (23.6%), but the greatest yearly increase shown in the Yearbook, which started collecting data in 2000, near to the numbers for 2004 (16.6%), a year in which the economy also grew at a greater rate. "The general indebtedness decreased from 121.4% to 109.6%, the revenue increased by 14.6% and the total assets increased 12.3% revealing an obligation in investing", highlighted the editor of the Yearbook. The Valor 1000 Yearbook, as well as the financial analysis, also brings a special report on investment tendencies in the country. The BNDES, expects, over the next four years, the greatest cycle of investments in almost three decades. In 2007, Celulose Irani registered a growth of 16.6% in its consolidated gross revenue in relation to the previous year. The growth of the country´s GDP in that same period was 5.4%, according to the Brazilian Institute of Geography and Statistics - IBGE. The Company´s consolidated EBITDA was 38.2% larger in 2007 in relation to the previous year. In 2007, Celulose Irani showed a growth of 16.6% in its consolidated gross revenue in relation to the previous year. The growth of the country´s GDP in that same period was 5.4%, according to the Brazilian Institute of Geography and Statistics - IBGE. The Company´s consolidated EBITDA was 38.2% larger in 2007 in relation to the previous year. The general ranking showed that IRANI increased 23 positions in relation to the Yearbook published last year. The July edition of the Exame magazine listed the ranking of the 500 Best and Biggest Brazilian companies for 2007. In the paper and wood pulp sector, Celulose Irani was in eighth place for being one of the best in the sales growth factor classification. Companies from 18 sectors of the economy were classified based on six performance indicators: sales growth, investment in fixed assets, market leadership, average liquidity, profitability on equity and profit generated per employee. In the wood pulp and paper sector, IRANI stood out in the items: profitability (return on investment during the year) in third position; in investment in assets (acquisitions of assets based on the 2006 assets) fourth place; growth (increase in the sales during the year, already discounting inflation), in the sixth placement. In 2007 Celulose Irani showed a growth of 16.6% in gross consolidated revenue in relation to the previous year. The growth of the Gross domestic product - GDP in the country during this period was 5.4%, according to the Brazilian Institute of Geography and Statistics - IBGE. The consolidated EBITDA of the Company was 38.2% greater in 2007 in relation to 2006. In the general ranking of the Exame yearbook, the Company moved up 17 place in relation to 2006. Celulose Irani was a prizewinner in the 14th most important environmental prize of Santa Catarina, with the CDM project - Clean Development Mechanism for the Co-generation plant. 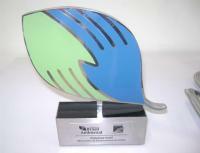 Promoted by the Fundação do Meio Ambiente de Santa Catarina - FATMA, the Fritz Müller Trophy is awarded to the companies that have given their contribution to the preservation of the environment, with projects and activities that seek the quality of life of humans interacting with nature in a sustainable way. 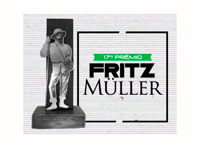 The awards ceremony where IRANI received the Fritz Müller Trophy happened in September, at the Hotel Maria do Mar in Florianópolis - SC. With the CDM project - Clean Development Mechanism for the Co-generation plant, Celulose Irani received in October, the ECO 2007 prize in the Responsible Business Practices - PRSE, category environment. Developed and launched by Amcham - American Chamber of Commerce in São Paulo in 1982, the ECO Prize is a pioneer in the recognition of companies that adopt socially responsible practices that seek to strengthen the reflection on the development of the concept and of the practices of business citizenship in Brazil. The projects were appraised by 60 jurors and totaled 178 enrolled works, 76 that came from small and medium sized companies. Celulose Irani was again awarded the Citizen Firm ADVB/SC 2007 with the case of the Celulose Irani Cultural Center, Effluents Treatment Station - ETE and with the revitalization project of the Vila Campina da Alegria - SC. Promoted by the Association of Sales and Marketing Leaders of Brazil - Santa Catarina - ADVB/SC, the award highlights the social action, environmental and cultural, initiatives developed by companies, foundations and associations in Santa Catarina in public and private enterprises. IRANI is recognized in 2007 in the categories Community Participation, Areas of Environmental Preservation and Cultural Development. The cases were analyzed in accordance with the objectives, strategies, execution and for the results obtained with the actions. The award ceremony happened on October 04, in the Events Center of the SESC Pousada Rural in Lages - SC. Through the CDM project - Clean Development Mechanism for the Co-generation plant, Celulose Irani was recognized in September, by the Brazilian Environmental Benchmarking Program. The case, from now on, will be seen as a reference for Social – environmental Benchmarking and become part of the Bank of Good Practices of the Program. Created by the company "Mais Projetos Corporativos" (More Corporate Projects), Environmental Benchmarking recognizes organizations that adopt practices that benefit the environment and the communities that exercise influence. Factors such as education and environmental information, use of energy, water resources, residues, gases and pollutants, tools and administration policies, handling and reforestation, development of new products, protection and conservation of the productive arrangements are appraised. The awards ceremony where IRANI received the award was held September 26, in the auditorium of the MASP - São Paulo Art Museum in São Paulo - SP. Celulose Irani is among the 50 most admired Brazilian companies in personnel administration. Promoted by the magazine Gestão & RH, the acknowledgement involves Human Resource professionals from the thousand biggest Brazilian companies in Exame Magazine, and the Best Companies to Work For, of Great Place to Work and of the Voce S/A. For the 3,815 voting companies were registered and mobilized 8,500 professionals that work in personnel administration throughout Brazil. Of this total, 2,150 professionals voted for and they generated 21,500 votes, distributed between 1,096 HR´s candidates. To be amongst the 50 most admired HR´s in the country, makes public, the excellence of the Company in the administration of people. Celulose Irani S.A. received the Export Quality Award, created by the magazine Revista da Madeira. The prize was received on May 04, in Curitiba - PR. The 100 largest exporting companies in volume from the wood, furniture, paper and cellulose sectors received awards According to information from the Ministry of Development, Industry and External Trade, the selection of the companies was based on exported value. Last year, Celulose Irani S.A. exported US$ 28.00 million, the equivalent to 20% of the revenue of the Group. In the Paper Division, the Company exported US$ 13,613 million, an increase of more than 20% in relation to the previous year. The award informed the public of IRANI´s excellent export performance in the Paper sector. 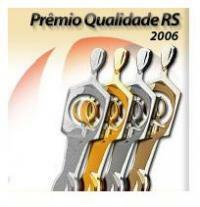 Celulose Irani S.A. conquered the level 1 bronze medal in the Quality Award, promoted by PGQP - Programa Gaúcho de Qualidade e Produtividade. (Gaucho Program of Quality and Productivity) The Program seeks to provide an analysis relating to the administration system through an external, impartial evaluation that uses internationally recognized criteria. It also acts to make available to the community, information on successful administration practices, improving the levels of productivity, reliability and quality in the industry. This conquest means the recognition of the efforts of all areas in the implantation of administration practices that are recognized as being globally adopted by large companies. It also demonstrates that the Company is confidently set on course in the search for administrative excellence. IRANI was rewarded by the CDM project - Clean Development Mechanism for the Co-generation Plant. The project was recognized by the 14th Ecological Expression Award - the most important event of this type in the South of the Country in the business segment, as an exemplary initiative of the Company’s environmental administration. The Award was created in1993 by the Publisher Expressão (Expression), one year after the World Conference on the Environment, Eco 92, with the objective of publishing the best ecological deeds that were done by companies and to stimulate the spreading of the ecological values. 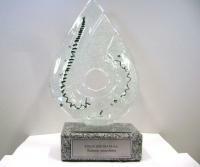 The winning actions of the award will be presented in the Annual Expression of Ecology 2006. Celulose Irani S.A was named as Citizen Firm ADVB - SC 2006, in the Environmental Preservation category, for the example of the Clean Development Mechanism - Co-generation Plant. The award is an initiative from the Association of Sales and Marketing Leaders in Santa Catarina, a non profit making civil entity that operates in the state. The ADVB motivates and rewards initiatives in socially responsible and successful companies from Santa Catarina. The Co-generation Plant, the project that won the award was installed at the Companys paper mill, in the town of Vargem Bonita - SC. The plant allows for the substitution of fossil fuel for sustainable biomass, which allowed the Company to become self-sufficient in the generation of energy and it permitted a potential reduction in the emission of 3,702 thousand tons of carbon equivalent over 21 years, making IRANI, the first Brazilian company in the paper and cellulose sector, and the second in the world, to issue carbon credits from the Kyoto Protocol.